We are a Scottish based charity which aims to support Calvary Zion Children's Home. We do this by finding sponsors to pay the school fees for individual children and by raising funds to help with the cost of running the Home. The Trust relies solely on donations, fund raising and gift aid. 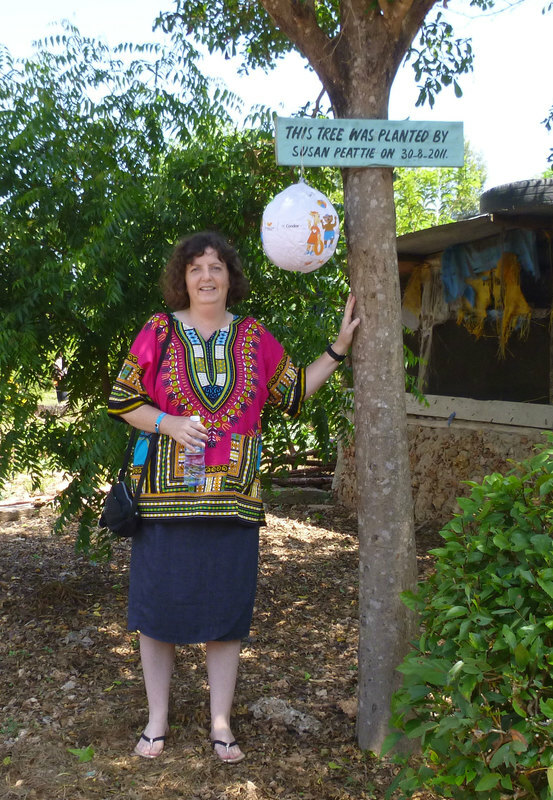 The Trust was formed in 2006 after Susan, our chairperson, spent time in Mombasa as a volunteer at a nearby school. She came across Calvary Zion Children's Home and was so impressed by Jane Karigo and the Home that she founded the Trust. The trustees are all voluntary and live in Scotland. However, through Susan, Jane and the internet we have forged links with others in the UK, Europe and elsewhere. This means that we can coordinate our efforts and make the best use of your donations. Calvary Zion Children's Home celebrated its 20th anniversary in 2018. Two members of the committee and other supporters went to Mombasa for the party and to spend time with the children and Jane. All the money raised through the Trust goes directly to the Children's Home in Kenya. A summary of the Trust Accounts for 2018 (PDF 9KB) is available for download.